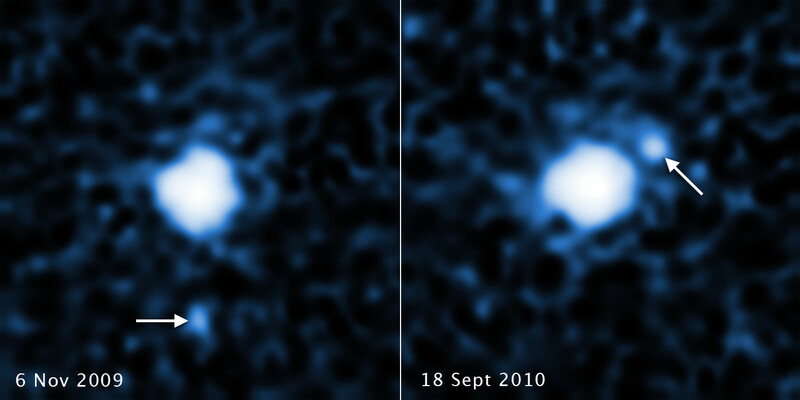 These two images, taken a year apart, reveal a moon orbiting the trans-Neptunian object 2007 OR10. 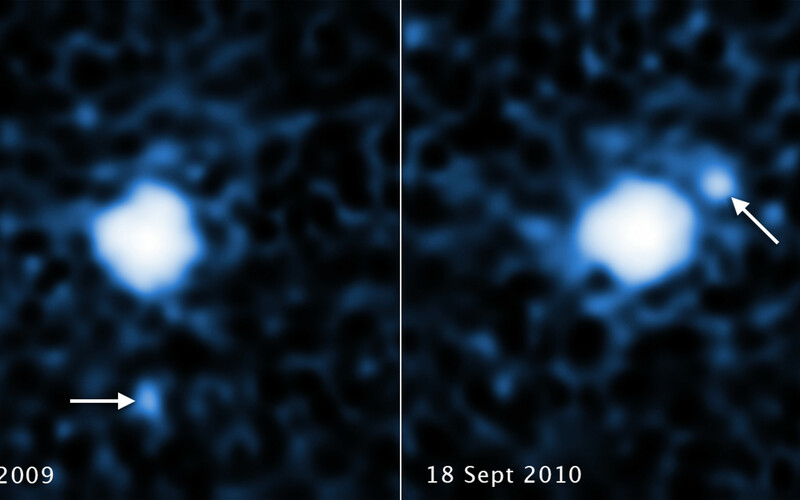 Each image, taken by the NASA/ESA Hubble Space Telescope's Wide Field Camera 3, shows the companion in a different orbital position around its parent body. 2007 OR10 is the third-largest known trans-Neptunian object, behind Pluto and Eris, and the largest unnamed world in the Solar System. 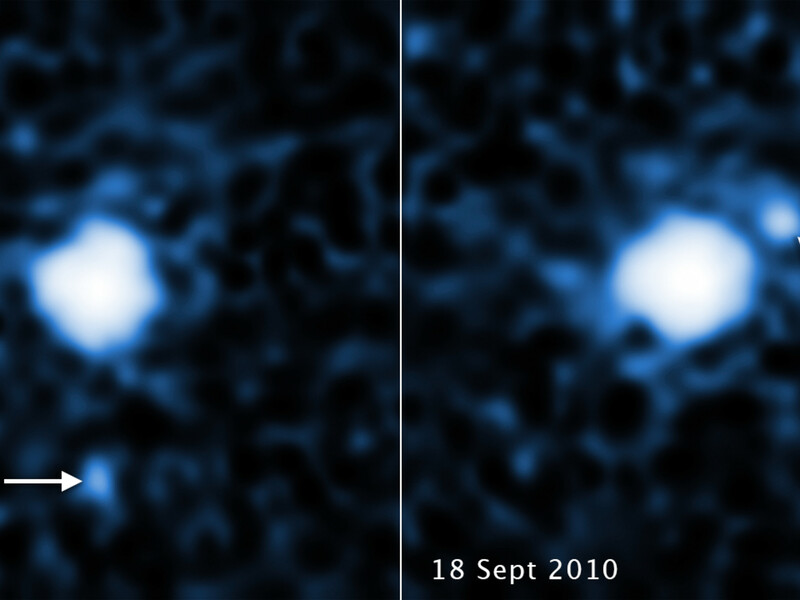 The pair is located in the Kuiper Belt, a realm of icy debris left over from the formation of the Solar System. The trans-Neptunian object is about 1520 kilometres across; the moon is estimated to be 240 kilometres to 400 kilometres in diameter. 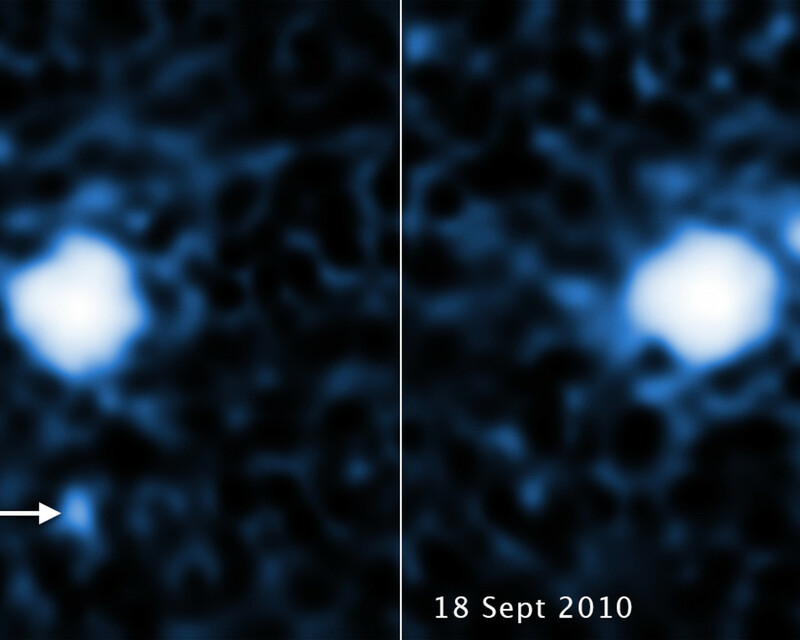 2007 OR10, like Pluto, follows an eccentric orbit, but it is currently three times farther than Pluto is from the Sun.